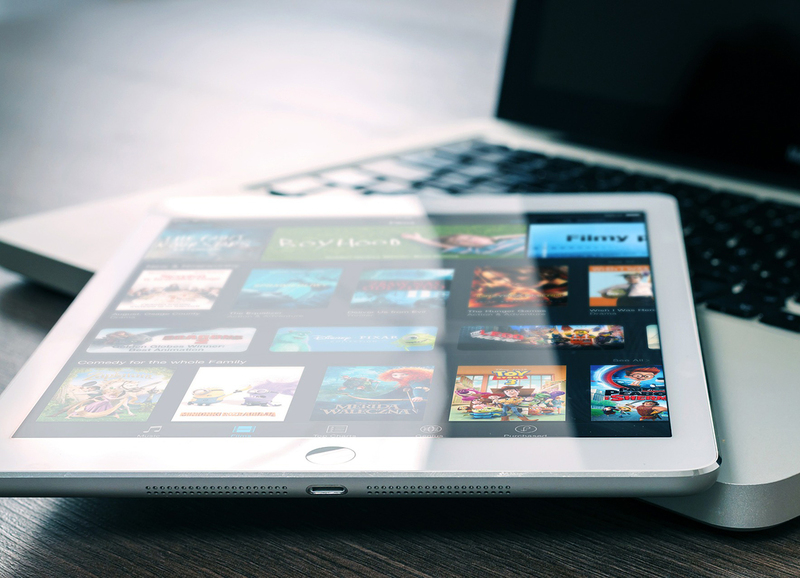 If you’ve got both an iPad and a toddler in your home, you’ll know that your chances of keeping them apart are slim to non-existent! While physical activity, reading and other more “traditional” activities continue to play a critical role in a child’s health and development, a growing number of us rely on digital devices from time to time, especially to engage our child when we are busy with something else, and that is something really good. As the name suggests, visual learners learn best when their sense of sight is engaged. So, does your child flip through the pages of the book or play with shapes and letters? Then your child must be a visual learner! Mobile devices offer a wide variety of apps to suit a visual learner. As a parent, you can support and enhance your kid’s interest by providing image rich and artistic games. You can help your child to understand and remember new ideas and concepts by accessing apps which display clear and vibrant pictures – as it’s the best way to capture their attention. Other good learning aids for visual learners include highlighters to use with notes and reading assignments, a small whiteboard to create quick concept sketches, and flashcards. For some children, their sense of sound allows them to gather large volumes of information and have them processed accordingly. A child is most probably an auditory learner if he or she is good at listening to instructions and is very sensitive to variations in spoken words. They can even better retain knowledge when new ideas are paired with nonverbal sounds such as music, drum beats or clapping. If you think you have an auditory learner on your hands, encourage your child to say things out loud and the best way to do this is by engaging your kid in online games. Kinesthetic learners take in information by discovering and experiencing. The term kinesthetic refers to touching, doing, experiencing, or being physically active, and it’s one of the three main pathways to the brain. This baby-friendly DJ game is unlike any ordinary cat/kitten simulator or even one of the ABCD/alphabet games for kids where they just diddle away their free time. KinToons – Nursery Rhyme DJ is a place where a pre-school toddler can simply sing, dance and enjoy while learning at the same time. Babies are encouraged to learn about shapes and colors through interactions with engaging animations, sounds and sing along songs! With Laugh & Learn: Shapes & Colors, baby can tap or tilt the screen to set a learning world in motion! Designed for babies 6 months & up. With PBS KIDS Video, your child can catch up with the shows they love. With new episodes added weekly, you’ll always have access to free cartoons and entertainment. Enjoy the classic song, The Wheels On the Bus, with your little ones! With 11 beautiful and colorful verses filled with fun interactions, your children will play and learn at the same time! The 10 different games in the app provide hours of entertainment in which your children will not only have fun but also develop their, memory, logic and fine motor skills. Music Store – Fruits Vs Veggies is one of the best pretend play games from Kinsane Games. The game lets children and/or any music lover discover the world of music. The store is full of amazing things to discover and to do – learn about different musical instruments, get the characters on-stage and hear them sing OR get them on the dance floor and watch them groove to the music!